A look at the AM4 platform landscape. AMD is making a return to the enthusiast market with Ryzen, its next-generation processor architecture that releases to retail on March 2. Hype is understandably high leading up to the big moment—early indications are that Ryzen is the real deal. Much more will be divulged in just a few days, though for anyone who has already made up their mind to build a system around Ryzen, AMD's top three Ryzen processors are available to pre-order. If going that route, a new motherboard is order, but which one? Ryzen will fit into a new socket known as AM4, the same of which will be used for AMD's other new APUs. If you're coming from an AM3+ or another motherboard, Ryzen will not work, as it's not backwards compatible with older boards and previous sockets. Unless building a small form factor system, it's reasonable to assume that most people who pre-ordered an R7 1800X, R7 1700X, or R7 1700 will likely shop for an X370 chipset motherboard. A case could be made for a B350 board as well, especially if using a single graphics card. In any event, use those charts as rough summaries in deciding which direction to go. 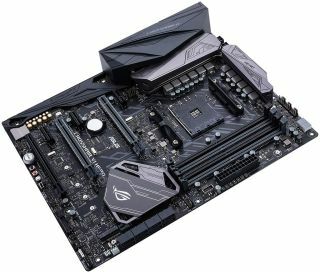 As far as what motherboards are currently available to pre-order (or will be available soon), we've done the legwork and compiled a list of AM4 options from Asus, Gigabyte, MSI, ASRock, and Biostar. There is a solid selection of AM4 boards to choose from, though by no means will be all of them. As time goes on, motherboard makers will flood the market with additional AM4 options. It is also possible that EVGA will get in on the action at some point. Are you planning a build around Ryzen? If so, let us know in the comments section what parts you'll be using.